Darwen, a small market town, is four miles south of Blackburn and boasts a central market area, redeveloped in 1973, which sits alongside the old Market Hall. 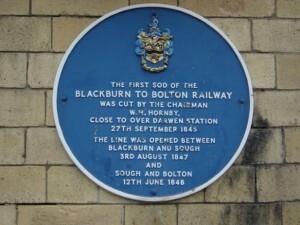 Like many other Lancashire towns the traditional skills and industry of the people of Darwen in cotton manufacture has had to evolve and the town now includes paper making, engineering and paint manufacture as its major industries. 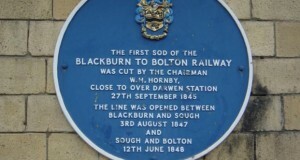 Darwen’s railway station opened in 1847 and stands perched on the hill overlooking the town. On the opposite side of the valley from the station sits the famous Darwen tower and there are well marked paths to this vantage point where panoramic views of the surrounding country side and moorland can be gleaned. The tower was completed in 1898 to jointly celebrate Queen Victoria’s Diamond Jubilee and recently won free access to the moors. Another famous Darwen landmark is India Mill with its graceful Italianate chimney which was built by Eccles Shorrock in 1867. SD 693225 – for a map visit www.streetmap.co.uk and enter the grid reference. 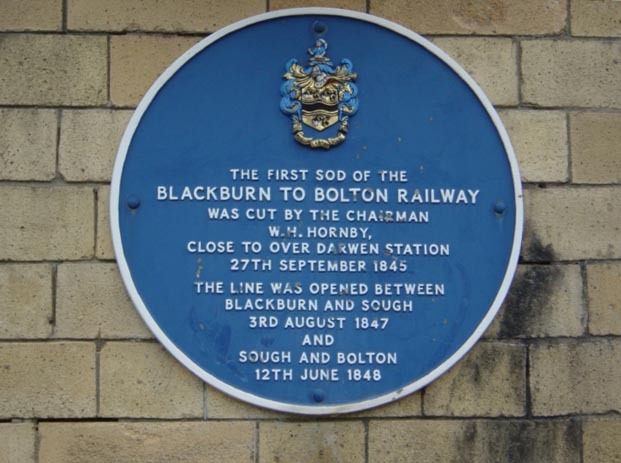 Darwen Green Trail – a trail that takes you out into the countryside around Darwen.